Marisa Casablanca is our Latest Featured Speaker! Our latest featured speaker is Marisa Casablanca from Akerman LLP! Marisa will be speaking for us at our upcoming Immigration 101 South Florida Conference in Fort Lauderdale on October 18-19! Marisa is a repeat speaker for us, having previously been on the faculty panels at our Immigration 101: A Comprehensive Immigration Practice Program and Visa Processing seminar, where attendees gave her glowing evaluations. Welcome back, Marisa! Maria “Marisa” Casablanca has dedicated herself to the practice of U.S Immigration and Nationality Law for 25 years. Her practice involves representing corporate clients and individuals in obtaining immigration assistance and benefits. 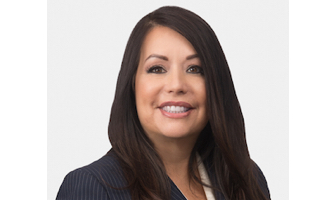 Marisa is Board Certified in Immigration and Nationality Law by The Florida Bar, and was a member of The Florida Bar’s Certification Committee for Immigration and Nationality Law. Marisa counsels her clients on a wide array of immigration related issues including obtaining assistance and benefits such as employment visas (EB-5) as well as business related visas and residency for foreign nationals, representing family members of permanent residents and United States Citizens, and assisting those seeking asylum. An experienced litigator, Marisa practices in all areas of Immigration law and is admitted to practice before the Supreme Court of the United States, the Immigration Court, the Board of Immigration Appeals, the Southern District Court and the Eleventh Circuit Court of Appeals. She has filed a petition for certiorari with the Supreme Court on an immigration issue that conflicted with different states. She advises employers on compliance procedures and counsels individuals on how to maintain their status in the United States.